Having your own blog gives you a sandbox where you can collect and share resources and information, as well as your own personal insights and vision. Setting up a blog is a really easy process, but it’s also one where you can easily waste a lot of time and energy on unimportant details if you are unsure of exactly what you are doing. These sites provide you with some amazing capabilities and they are all free. New posts can be promoted through Twitter and reposted on your Facebook page with no additional effort. The kind of information you choose to share through your blog should be reflective of the kind of interests and expertise your readers will expect you to have, as this will help you to build your personal brand further. But as always, none of this will do you any good if nobody can find it, so ensure your name is in the name of your blog so that the search engines will associate your blog with your other pieces of thought leadership content. But it is not just your own personal brand which you can promote and support through your blog. You can also set up a corporate blog for your company, to provide further information and valuable content for your prospects and customers. With a company blog you can allow numerous team members from the different departments of sectors of your business all working together to promote your brand. This, however, is entirely dependent on the type of business that you have, and exactly what policies are already in place within the company regarding content creation and distribution. 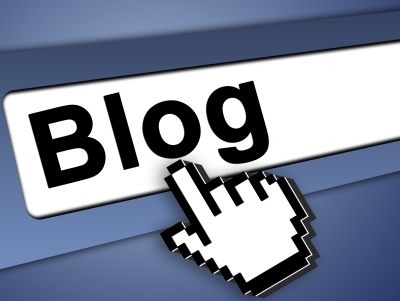 Who will write content for the blog and how frequently should they post? What content should be written? Who signs off the content? Is it the MD, the Marketing Manager, or as a whole team? What will the branding and style of the blog be? Is it formal and corporate or does it have more of a personal touch? By tackling some of these questions before you start producing the content for the blog you will have clear cut ideas of exactly how your own corporate blog will work for your business. Do You Embody The Right Characteristics Of Your Desired Personal Brand?